Watching singles tennis matches at both the pro and junior levels, I have noticed that these matches are relatively long in duration. A tennis match generally takes anywhere from one hour to five hours to complete, depending on a few factors, one of which is the format of the match (best of three sets or best of five sets). However, if the match is observed from the perspective of each individual point, it can be easily noticed that points are, on average, short in duration and played at a higher intensity. Points in tennis are “building blocks” for games, tie-breaks, sets and matches, respectively. Having this in mind, the importance of starting each point well in a tennis match is clear. 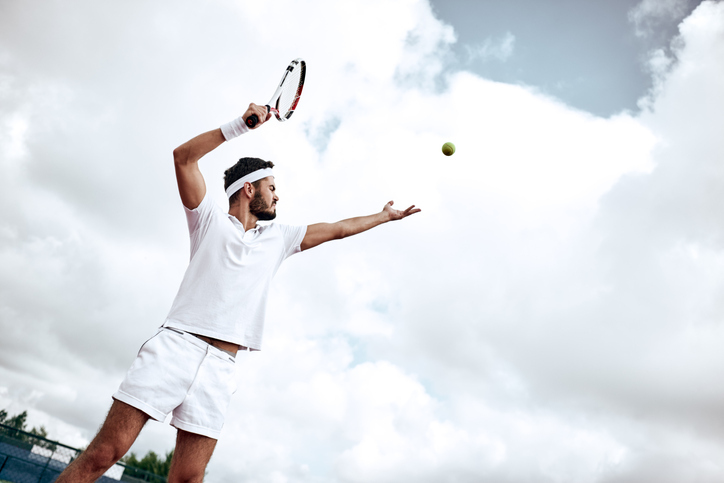 There are two strokes used by tennis players to start points in a tennis match: The serve during service games and the return during returning games. In this article, the focus will be on returns. Looking at tennis players with the best returns in the game, it can be noticed that these players usually have excellent and very solid baseline games. So it is fair to say that many factors that contribute to having an excellent baseline game are similar to factors that contribute to having an excellent return? However, there are some specific factors that apply for the return of serve. One of the factors that contributes to decision-making on the return is the reaction time that the player who is returning has when facing first serves and often even second serves. Since tennis players at high levels of competition usually have fast and accurate first serves, reaction time for the players who are returning these serves is very short. Short reaction time when returning contributes to decision-making in order to make the return efficient, effective, high percentage shot, able to at least neutralize the effect of the high-quality serve. What type of return should tennis players look to make when facing these types of serves? What type of return could be a high percentage return that is able to at least neutralize the effect of the high-quality serve when the player who is serving is playing from the baseline after the serve? It is the return where depth is the priority over direction for the returner of serve. A goal like this when returning a serve can give the player a bigger target and better chance of correctly timing the return. When depth is the priority, the player that is returning aims the return of serve deep in the tennis court and not too close to the sidelines. As a result, this type of return should become a higher percentage shot, still effective in at least neutralizing high-quality first or second serves. This could help the player that is returning the serve execute a higher percentage of returns during the match and build confidence on the return of serve. It is worth noting that if the player who is returning the serve has a faster reaction time while returning the serve, one can decide to do more with the return and look to aim the return away from the middle of the court and closer to the sidelines. By doing that, try to gain control of the point with the return. Damir Barisic is a High Performance Coach at CourtSense-Bogota Racquet Club, and holds the highest level coaching license in Croatia. Prior to joining CourtSense, Damir competed on a professional level and achieved ATP ranking in singles and doubles, and after that he spend time coaching at the IMG Nick Bolletieri Academy in Bradenton, Fla., in the Niki Pilic Tennis Academy in Munich, Germany, as well as privately coaching players such as Anja Konjuh and Donna Vekic. At CourtSense, Damir is working with juniors and adults from all different levels, including many nationally-ranked players.